The best protein currently available in the market of "instant". Thanks to maximize their gains in muscle tissue. The ideal dietary supplement. High quality at a reasonable price - a product just for you. Have before you high quality whey protein concentrate (WPC) of the "instant" - which means zero problems with its solubility. 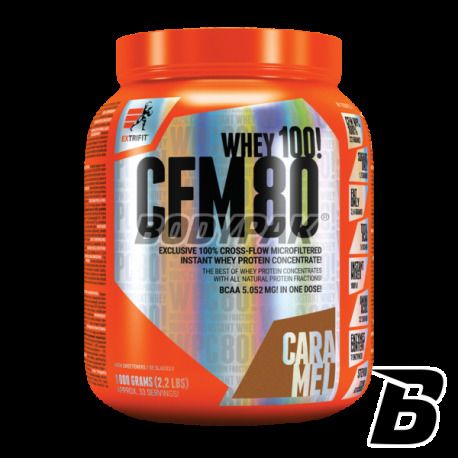 CFM Instant Whey is a step ahead of the competition thanks to deployed during its production the latest technologies, which guarantee the intact protein structure. Additional advantage is the addition of digestive enzymes that facilitate rapid assimilation of amino acids. CFM Instant Whey is the perfect dietary supplement in the high-grade animal protein. If you want to gain lean muscle mass - reach for precisely this product. Dream silhouette is at your fingertips! Ingredients: Whey Protein papain, alpha-amylase, bromelain, lactase, cellulase, a neutral protease, a lipase, dried bananas (for banana flavor), xanthan gum thickener - guar gum - thickener . aromas, glycosides stewilowe - sweetener, lecithin - carrier, E160, E160b - colors. WPC.. dobra rozpuszczalność i niezły smak.. co więcej można dodać - solidny produkt i tyle. High-protein nutrient based only the highest quality whey protein concentrate! It contains no additives plant - the perfect complement to even the demanding diet. Refined taste and seamless solubility of each serving. Bet on a proven product! 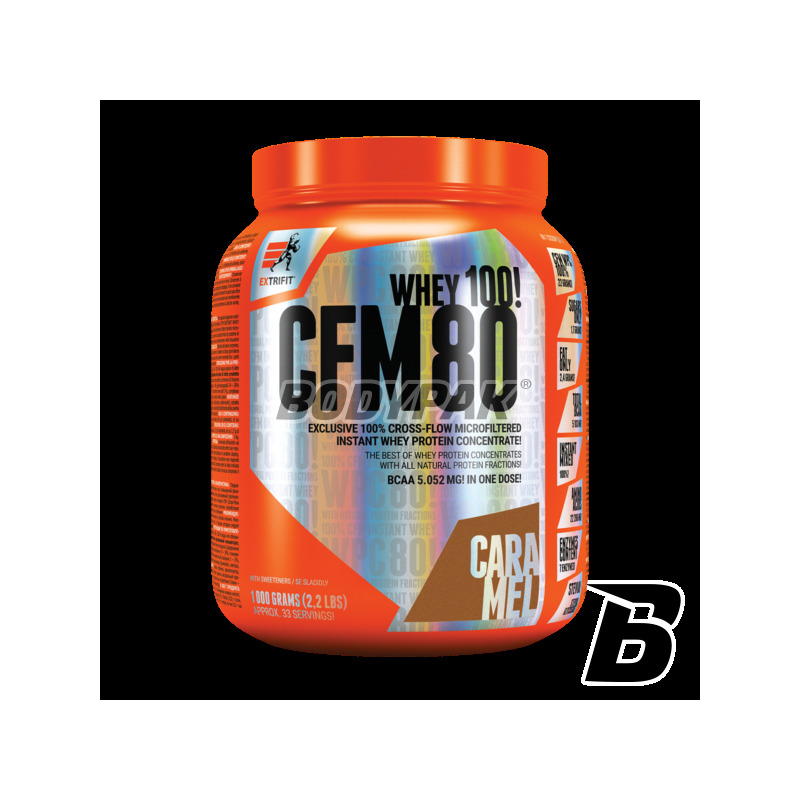 High-quality whey protein concentrate! Refined taste and sensational solubility of each serving. The ideal source of nutritious protein in the diet of any athlete!